We never know when an emergency will strike. Even the most minor inconveniences can be enough to ruin your day. Have you ever been locked outside of your house? Or locked your keys in your car? There are usually a vast amount of services that provide a 24 hour emergency assistance program that can help you out of a jam. The same is true for garage doors. While it may sound surprising, there are many reasons people rely on a 24 hour garage door service such as Garage Door Guru. Read on for some of the reasons you may find yourself in need of one of our qualified technicians to help you out of a garage door emergency. Your garage door may need a repair when you least expect it. Is it not staying closed? Or will it not open? Maybe it keeps getting stuck and you need to get your car out of your garage. Whatever the case, our technicians provide fast same-day emergency garage door repair in the entire New York area. Not only will our emergency service be readily available to help you out, but we will be thorough as well. Prior to doing any repair on your garage door, our technicians will complete a 25 point inspection. If you agree with the changes that we think need to be made, we will do the repair on the spot. If your garage door will not close, it poses an immediate threat to your home. An intruder has free reign to walk right in! Sometimes this problem is caused by a broken cable on your garage door. By calling our 24 hour emergency garage door service, you can have your cables repaired or replaced in a jiffy! We will be there to ensure that your home remains safe and sound, just the way you need it to be. 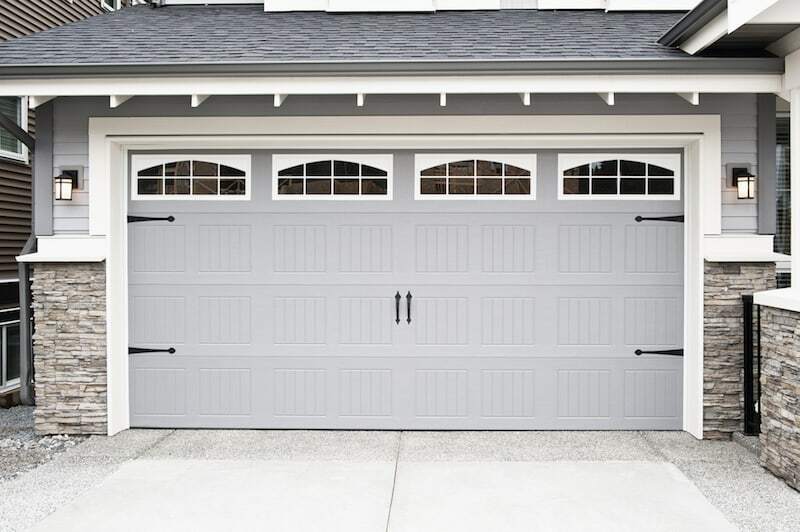 It is not uncommon for garage doors to go off of their tracks. It is also not uncommon for garage doors to go off track and cause injuries to your vehicle, property, or loved ones. If you notice this happening, do not hesitate to call our emergency garage door service. We can get your doors back on track in no time, which will prevent any damage to your home or family. Is your car stuck in the garage because your garage door won’t open? Call us and we will have you out right away! Sometimes your garage door won’t open because there is something wrong with the connection in your garage door’s opener. Our skilled team will show up as fast as possible to tackle the problem with your garage door opener. Whether you need to get your car out or into the garage, we will discover the problem and get your garage door serviced right away. One of the qualities that sets Garage Door Guru apart from the rest of the garage door service companies out there is that we will show up at your home or business anytime. We understand that emergencies come out of nowhere causing frustration as well as safety concerns. Regardless of inclement weather, or short notice, or any unforeseen situation, our team of technicians is on call every day, every hour. Garage Door Gurus care about your convenience and your safety. We will be there to make sure your garage door gets the service it needs when it needs it, regardless of the circumstances. Don’t hesitate to call Garage Door Guru any day at anytime to get your garage door functioning properly. Make sure your home is protected by calling us today!